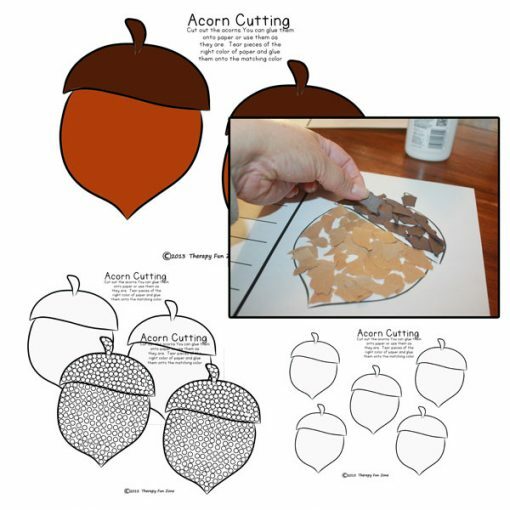 Here is a quick and easy fall cutting activity that can be done in different ways to work on different fine motor skills. 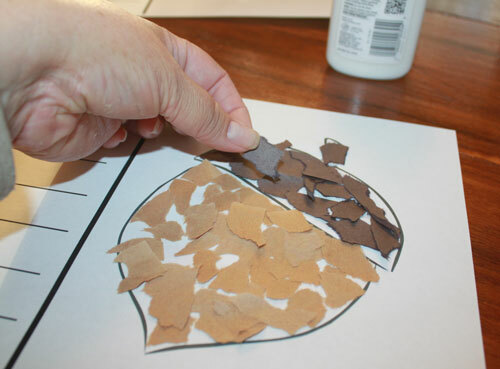 We have some acorns to cut out, and then you can tear paper and glue the torn paper pieces onto the acorn for the right colors.It makes a cute little activity. Also included are some templates with dots on them to use as q-tip painting templates.